Arts Fest will be held on Saturday September 25 in the 500 and 600 Blocks of Main Street, Slatington. The event is from 10:00 A.M until 4:00 P.M. More information will be available soon. · Assisted the Borough of Slatington in obtaining a grant from PHMC to prepare the nomination document for the creation of a Slatington National Historic District. Completed a comprehensive parking survey to assist Slatington Boro in maximizing parking availability. Funded the "Public Parking"sign on Main Street. 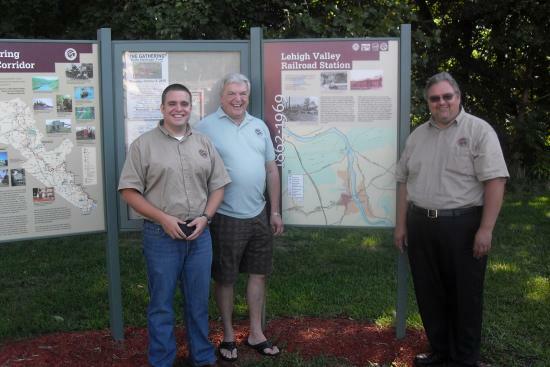 · Gathered, copied and archived 500 historic photographs of the area funded by a $4,805 grant from PHMC. 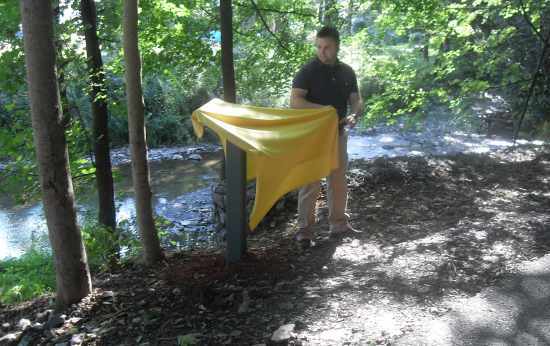 · Beautified the area around the Old Reservoir/Fish Pond and purchased and installed a historic marker for the site. · Participated in “No Room For Poverty” Rally in Washington, D.C.
· Installed exercise stations along the canal and Project Fit America equipment at Middle School. 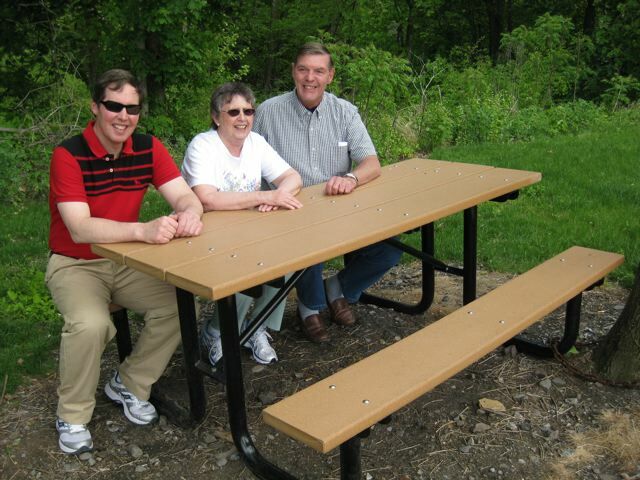 The canal fitness equipment was dedicated as the Duane Lucien Fitness Trail.